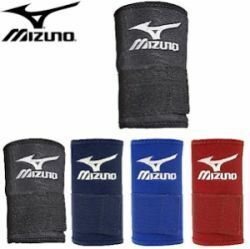 Our business is highly involved in offering a wide range of reliable Mizuno Products to our valuable clients. These are available as per various specifications mentioned by our clients. Our range of these products is easy to handle and durable for these features our products are highly demanded across the global markets. We offer these products in bulk quantities across the globe. 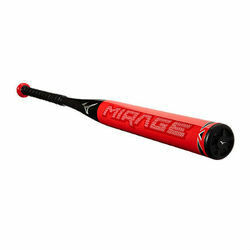 Mizuno Softball Bat Mirage 33"
The Mizuno Whiteout Fastpitch Softball Bat (-12.5) has NEW 3Z Technology targets 3 zones of the barrel to enhance and create a massive sweet spot for increased performance across the whole barrel. Made of Black Onyx Carbon utilized for maximum performance and durability. More resin used throughout barrel for added durability. The Cylinder seaming technique eliminates inconsistencies with a Lightweight end cap design used to help increase swing speed. 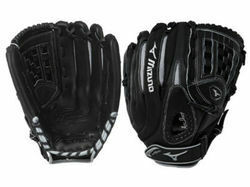 It's Mizuno exclusive cushioned grip. 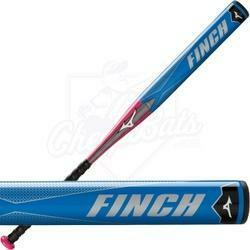 Even a balanced barrel for lower swing weight & better bat control. The unsurpassed sweet area for ultimate forgiveness and Anti-Shock Construction™ for less vibration and improved feel. 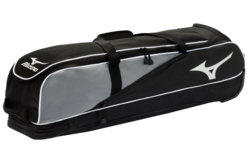 Mizuno Softball Bat Finch 33"
Roller wheel bag design to fit all the athletes needs. Holds up to 4 bats. J Hook for hanging for fence hanging. 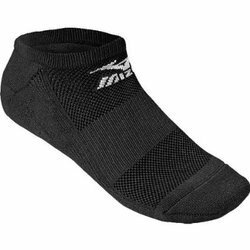 The Mizuno No Show Performance Sock has a low profile for a sockless look, and moisture management capabilities provide rapid evaporation and comfort. Embossed Mizuno Digi-GripTM palm for enhanced grip. Sublimated AirMeshTM back increases comfort and breathability. QuikAdjustTM wrist tab with molded pull tab. Additional layer of Digi-Grip placed in a key palm location for increased durability. 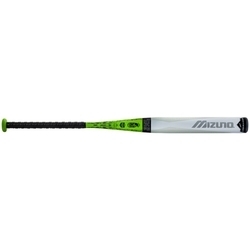 Looking for Mizuno Baseball ?